NATIONWIDE (WOWO): A certain pair of boots made for toddlers and sold at Target stores nationwide is under recall due to a choking hazard. The recall is for more than 33,000 Cat & Jack “Chiara” toddlers’ unicorn boots in size 1 and sizes 5 through 13. 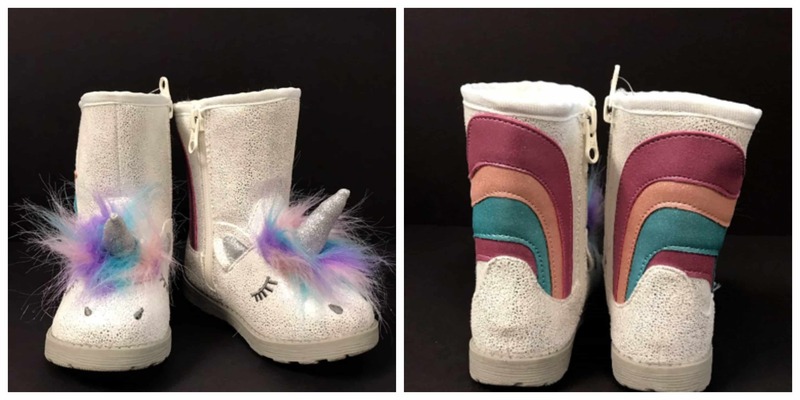 The boots feature a unicorn’s horn and ears on the front, and the Consumer Product Safety Commission says that horn can detach and poses a choking hazard as a result. The boots were sold between October and November of last year for about $27. No injuries have been reported. If you have a pair of the recalled boots, return them to Target for a full refund.